My campaign to persuade the school board to approve the A-G Initiative was reaching its critical phase. I was able to engage the influential Silicon Valley Education Foundation to lead the community outreach effort as resistance to the initiative intensified when the teachers union began a campaign to discredit me. As the board of supervisors deliberated over the County’s budget, George was maneuvering for parks funds to be used in poor urban areas of his district to the vigorous opposition of suburban parks advocates. The pilot Latino Leadership Alliance Leadership Academy that I helped create was preparing for the weekend at Stanford. A successful retreat could make the academy or an unsuccessful weekend could break it. The ongoing squabbles with my siblings over our parent’s estate had been escalated to a full-fledged dispute. And promises of a long and negative school board campaign in the fall continued to be heard from my presumptive opponent. Despite these challenges, I kept pushing myself to the limit bolstered by competitive drive, double lattes, and daily workouts. Sandra and I had been working out together regularly for about eight months with one of my former high school football players named Jerry Brito who was a professional personal trainer. I met Jerry in the late 1980s when I coached the James Lick High School frosh/sophomore football team. As a high-school player, he was a hard-working and inspirational player who used those attributes to be an excellent trainer. Jerry, 38 years old with the chiseled physique of a much younger man, had encouraged, cajoled, and inspired Sandra and me through intense workouts that challenged us physically and mentally. Both of us felt great losing weight, toning our muscles, and exercising away the stress of our jobs. Jerry later commented that, while many of his Type A clients came into the gym stressed, he had “never seen someone under so much pressure as you were that week.” On Friday, June 4th, I remembered feeling extreme stress and anxiety during my morning exercise routine. I finished my workout, but the stress and anxiety weren’t relieved. The symptoms that dogged me were similar to those I had six years earlier when my doctor diagnosed me with anxiety disorder after my mom and sister Patty died in 2003. My skin was warm and clammy, I felt pressure in my throat and upper chest area, my shoulders were heavy and ached with discomfort, and I was having a hard time catching my breath. An anxiety attack and its more intense cousin panic attack are caused, not by physical reactions in the body, rather by psychological issues that trigger the nervous system to prepare for a “fight or flight” situation. In the case of anxiety, the body releases the same hormones that cause the sensation one feels when scared. As a result, the heart starts beating faster causing the clammy skin, and chest pain, and the chemical imbalance from the hormone release causes the shortness of breath, which leads to heavy shoulders. Anxiety is usually triggered by extreme stress for a prolonged period, a life-changing event, as in the case of my mom and Patty dying during the same year, or both. During a panic or anxiety attack, none of the symptoms physically harm the body. They cause discomfort and psychological distractions that could hamper a person’s ability to function on even the simplest of tasks. After the diagnosis in 2004, I participated in several one-on-one therapy, group sessions, and classes that provided anxiety sufferers with the tools to manage symptoms. What I learned was that anxiety symptoms were the same as those of a heart attack, but less severe. The series of group sessions and classes that I took in 2004 taught breathing exercises to restore the body’s chemical imbalance. The program also included mental exercises to clear thoughts that triggered an attack. I had learned the lessons well and hadn’t had an anxiety or panic attack since the dark days following the life changing events of 2003. On Friday, June 4th, I felt as though an anxiety relapse was lurking around the corner. After the morning workout on June 4th, I spent a little time doing relaxation and breathing exercises before dressing for work. The exercises seemed to work, and I had an uneventful start to the weekend spending time with Sandra, the girls, and larger Peralta family. On Saturday, Sandra, the girls and I lounged around the house, my mind cleared of the of the county and school district budgets, the A-G Initiative, and my parents’ living trust. In addition to managing my own school board agenda and the ongoing tension with my siblings, at work I was the chief policy strategist for the office during the county’s $4 billion budget process. This required horse trading and intense negotiations as the county was in its tenth straight year of budget cuts. The strain on me was reaching the point of being intolerable. I slept just a few hours each night. The pressure on my neck, stomach, and chest felt like the familiar panic disorder symptoms that led to my first health scare six years before. I was wearing myself down, but I kept pushing ahead trying to manage the responsibilities I had created for myself. With the personal, professional, and political madness swirling around me, the last Saturday in May provided much needed relief. Sandra’s parents celebrated their 50th wedding anniversary with a beautiful mass and an elegant reception on May 29, 2010. The reception was held at Silicon Valley’s exclusive Capital Club atop the Knight-Ridder building, a structure named for the Ridder family who was the longtime publisher of the San Jose Mercury News. The Peraltas, their four daughters and sons-in-law, and their eleven grandchildren hosted the party. The men and boys wore black tie, and the women and girls donned formal evening gowns. The guests were served a four-course meal accompanied by live mariachi music, George presented an official county proclamation congratulating my in-laws, and some guests danced the night away while others enjoyed cocktails and cigars on the terrace that overlooked the valley. Later in the evening, the celebrants convened for a nightcap at the prestigious Fairmont Hotel next door. In an effort to show my health and vigor, I challenged younger relatives to push-up contests on the lounge floor to the enjoyment of those in the lobby and the laughter of Sandra and my brothers-in-law. Sandra, the girls, and I took a family photo that day with a large picture window serving as the background. The camera lens captured east San Jose sprawling out in the distance. Wearing a black tuxedo with black tie and a red rose pinned to the lapel of the jacket, I confidently sat in a chair with my back straight, chin up, and hands overlapping each other. With poise and warm welcoming smiles, Sandra, Marisa, and Erica stood behind me elegantly dressed. Looking at that photo, one might guess that I was a successful man surrounded by his beautiful family at the pinnacle of his life. Underneath the façade of the formal attire, dramatic backdrop, and appearance of confidence that bordered on brashness, I had been feeling fatigued and anxious for most of the week. Sandra commented that I looked especially tired and lethargic that night. The day after the party would give me a moment to relax as the extended Peralta family gathered at Kim and Miguel’s house for the family’s traditional “day-after” barbecue. I gorged on ribs and washed them down with a few beers. My nephew Andres, who turned eleven years old that day, challenged me to a one-on-one basketball game on his backyard court. Andres was a good athlete, but slender and much shorter than me. I figured I would dispose of him quickly and get back to the ribs and beer. I took and made a few jump shots on my way to a sure rout when I suddenly had difficulty breathing. Bending over with my hands on my knees trying to catch my breath, I was sure that the long night of partying and my rigorous work schedule caused the breathless sensation. We stopped playing and I decided to spend the rest of the day relaxing and enjoying time with the family knowing that I had a hectic week ahead. Feeling nostalgic, I drove the familiar route that I used to walk as a teenager: right on White Road out of the school parking lot, left on Alum Rock Avenue through the Alum Rock Village, three blocks up Alum Rock Avenue, then a right on Viewmont Avenue. Viewmont Avenue was different than it was when I was a kid, but in many ways it was just the same. The families I grew up with were all gone with exception of the Ornelas family who lived across the street at 49 Viewmont. Tony Ornelas was my godfather for Confirmation, his wife Marty served as godmother to my little sister Sisi for her First Communion, and I went to school with their kids. Behind the wheel of a late model BMW sedan and wearing a business suit, I felt an enormous sense of pride and accomplishment as I slowly drove past the small tract homes of my childhood. I continued through the east side on my way home passing more familiar places: right turn on Rose Avenue and left onto Dale Drive where the Alvarez, Moreno, Furlow, and Garcia families used to live and the Rodriguez family still lived. Then I made a left on East Hills Drive driving past the elementary school I attended before turning right on Meadow Lane where my boyhood friend Rudy lived. When I passed his house on Meadow Lane, I was reminded of how long it had been since I had seen him, or even talked to him. We had spent many a day and night at that house drinking and partying without any concern for the future. I drove on toward my house in the Evergreen Valley where the homes were bigger, the streets wider, and the roadways lined by trees, where many east side kids moved when they became more financially secure. During the fifteen minute drive home, still feeling the warm glow of a busy day filled with accomplishment, I reflected on my life. It had been a rollercoaster for sure, and now it was clearly on the upswing. Several months after my triumphant return to James Lick High School’s graduation, the school board appointed me president of the board for 2010. Once again, drive and ambition would dominate my life, and the New Year started at full throttle. In my role as school board president, I could set the district’s agenda for the year. A student group, Californians for Justice, had been lobbying the board for over five years to institute a policy to make graduation requirements parallel to college entrance requirements called the “A-G Initiative.” Now, as president of the board, I had the ability to do that, and if successful, I could further solidify my chances to win the election in November. The A-G Initiative became the centerpiece of my State of the District Address in January 2010, which I delivered to an overflow crowd at James lick High School. In spite of the teachers union’s aggressive and underhanded behind-the-scenes fight against the initiative, I enlisted the support of the Silicon Valley Education Foundation to educate the community on the merits of the initiative and put together a coalition of students, parents, and public officials to campaign for its passage. The upcoming summer would surely be challenging. The teacher’s union had recruited a disgruntled former district administrator to challenge me in the general election scheduled for November, so I needed to prepare for a full-blown campaign. The final decision about what was left of my parent’s estate, a rental house they owned, created friction in our family. The pressure and stress were almost unbearable, but this is exactly what I sought since returning to college, and I was having fun. Sandra continued to express concern about how the pace was taking a toll on me. But I didn’t listen. I had failures to overcome, ambition, and energy. Sandra was right though, I was exhausted and the only thing that carried me through each day was the adrenalin fueled by my drive to succeed and three Starbucks double lattes per day. Later that spring, my political prospects got a boost. Steve Poizner, a millionaire Republican candidate for governor of California wrote a book denigrating Mt. Pleasant High, a school located in the district I represented in east San Jose. In a detailed letter citing California law against using public school facilities for political purposes, I publicly chastised the gubernatorial candidate and prohibited him from appearing for a scheduled campaign stop on the Mt. Pleasant campus. Poizner canceled his appearance at the school, but kept a scheduled book-signing at a local Barnes and Noble bookstore. With over 100 community members, Mt. Pleasant students, faculty, and alumni, I awaited the candidate’s arrival at the bookstore. Surrounded by his entourage, Poizner entered the store through a side entrance to avoid the crowd. Waiting for him at the door of the side entrance, I demanded that he respond to the negative stereotypes about Latino kids, the east side, and Mt. Pleasant high school described in his book as news reporters and their cameras covered our brief exchange. The episode made statewide news, and the east side community recognized me as a defender of the community. That evening left me with a greater sense of ambition and inspired me to worker harder. 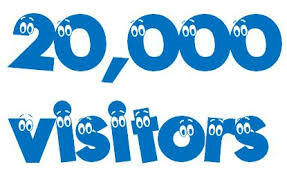 Over 20,000 readers have viewed East Side Eddie Report.com since the blog’s first post on September 30, 2013! With deep gratitude, I thank all of you who take a minute from your day to read my articles and my story, Summer in the Waiting Room: How Faith, Family, and Friends Saved My Life. I also appreciate all of your comments. Keep ’em coming! I always want to hear what you think. Until Wednesday…for the next installment of Summer in the Waiting Room. Thanks again for reading!! June 10, 2009, was graduation day for my high school alma mater, and it would mark the beginning of a feverish 360 days that sent my political prospects on a promising path. It started out like any other day. I got out of bed at 6:30 in the morning, reviewed my daily calendar of appointments, and washed up to take Erica to swim practice. After dropping off Erica, I went to the YMCA for a morning workout, then took Marisa to swim practice, picked up Erica, took a shower, dressed for work, stopped to buy a cup of coffee at the neighborhood Starbucks, and headed to my first appointment for the day. Later that evening, while driving home after a typical full day, my thoughts wandered to the idyllic time growing up on Viewmont Avenue, my struggles as a young man, the years of redemption, the crushing school board campaign of 2008, and the rise out of the devastation of that defeat to serve on the school board again. It dawned on me that I was experiencing a life I never could have imagined as a kid. June 10th was a Wednesday. I had a standing appointment on my calendar for every Wednesday morning to meet with the chief of staff to the congresswoman who represented San Jose in the United States House of Representatives. The major topic of discussion for the meeting would be a delicate conversation about building a park on federal property in the congresswoman’s district. I wanted to know if the she would support the concept and help guide George through the process of the acquiring the property for the County. Once the chief was satisfied that I had addressed all of her questions, she said that the congresswoman could support the concept and made some suggestions on how we could work together to make it a reality. The day was off to a great start as I headed to the office. Once at the office, I had just enough time to return several phone calls and e-mails, brainstorm with the staff about brewing issues, and check in with George. As usual, the check-in covered a variety of issues in short amount time. After the briefing, I returned a few more phone calls and e-mails before George and I were off to a trendy Oaxacan-style restaurant in the heart of downtown San Jose. We went to the restaurant, located in the shadow of the city’s historic 18th-century St. Joseph Cathedral, for a lunch meeting with the Consul General of Mexico. We discussed a proposed County partnership with the consulate. After lunch, I was back in the office huddling with the staff to prepare for afternoon meetings. I loved working in a fast-paced and dynamic environment where every day brought new challenges and required complex decision-making. And this work did just that. With my day job coming to an end, I rushed to the elevator to go the ten floors down to the lobby of the County Administration Building. Once on the ground floor, I hustled across a breezeway to my car. As a member of the board of education, I was scheduled to preside over the graduation ceremonies at James Lick High School. The ceremony had all of the excitement and anticipation fitting a high school graduation. The graduates were anxious and impatient as they waited to enter the small football stadium. 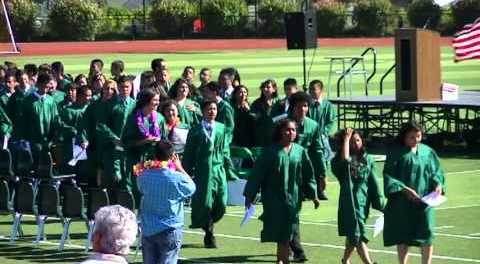 They wore dark green gowns and mortarboards to honor the school colors. The principal gave me the chance to speak to the students before the ceremony, and I told them something about being proud to have grown up in the neighborhood. I doubt that any of them heard what I had said. As soon as I finished my comments, the sound of a recorded version of “Pomp and Circumstance,” the traditional graduation processional march, started blaring over the stadium speakers. Wearing a black suit with a white shirt and dark green tie, I walked proudly onto the field next to the principal and found my seat on the stage as the faculty followed behind to their seats on the field. The graduates then filed into the stadium with their green gowns and tassels flowing in the wind to the cheers of family and friends. Standing on the stage watching the spectacle, I couldn’t help but think about the rocky road I taken to this point in my life. Feelings of pride and humility washed over me when I realized I was playing such an important role in the very ceremony that my brothers, sisters, and I participated in so many years before. After the speeches and conferring of diplomas, I formally accepted the Class of 2009 on behalf of the school board. That’s when the real celebration began as the graduates threw their caps in the air, families and friends cheered, the recessional march played over the loudspeakers, and those in the bleachers stormed the field to congratulate their favorite graduate. I walked out of the stadium unnoticed to the jubilant celebrants. When I got into my car, I decided to drive by my old neighborhood just to see how it was doing. For nearly a half century, my family lived just a few short blocks from the high school. I always felt safe and at peace when driving through Viewmont Avenue. On June 10th, I also felt a sense of accomplishment. Fred O. García is my dad. Even though he passed away almost 20 years ago, I turn to him often for advice. He taught his children how to live a productive life through anecdotes, analogies, and one-liners I call “Licoisms.” His simple philosophy on raising kids is one of my favorites. He would say that you can’t start teaching values when kids are teenagers, people can learn values from the time they are babies. 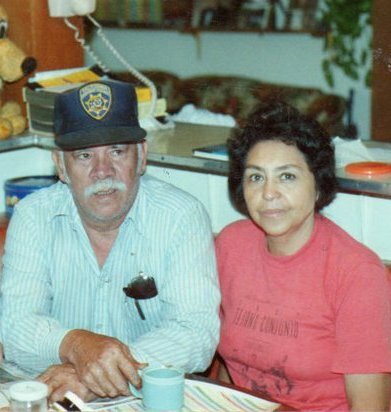 Together with my mom, they prepared my siblings and me for the tough road called life. He taught us the values of respecting ourselves and others, working hard, taking responsibility for our actions, and owning up to our mistakes. 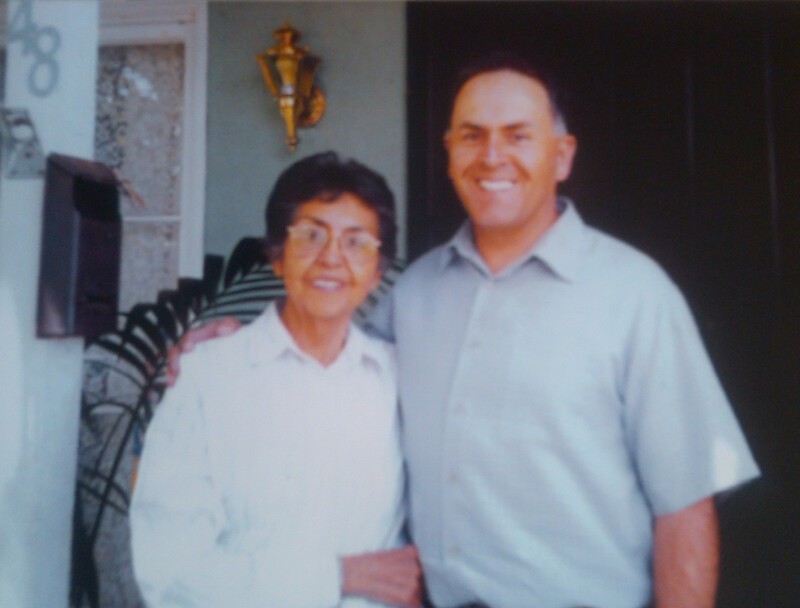 From mom, we learned to trust in God, love unconditionally, and give to others less fortunate. Recently, an old friend shared with me that her son was going to start the 8th grade in a few weeks. She commented how it seemed like he went from a little boy to a teenager from one day to the next. I told her that the transition from teenager to young adult happens just as fast. We chuckled and continued sharing stories about our kids. Then, reality hit me. My daughter Marisa will drive back to Los Angeles soon to start junior year at Loyola Marymount University and Erica is entering senior year in high school. Both are taking big steps in their lives. Marisa and a few friends have rented an apartment off campus. We will move Erica into a college dorm room right around this time next year. My chuckle quickly turned into concern. I’ve been around enough to know that college isn’t just about term papers, mid-terms, and finals. Alcohol, parties, and other unknown dangers lurk around every corner during down time. Outside the relative safety of campus security gates is a world filled with beauty, wonder, and yes, even bad influences, evil, and darkness. I thought about how Sandra and I have taught the girls to be independent and confident. We’ve shared with them the values our parents shared with us. On a daily basis, Marisa and Erica make more decisions on their own as their transition to adulthood evolves. It’s easy to worry about external forces that could shape the rest of their lives.